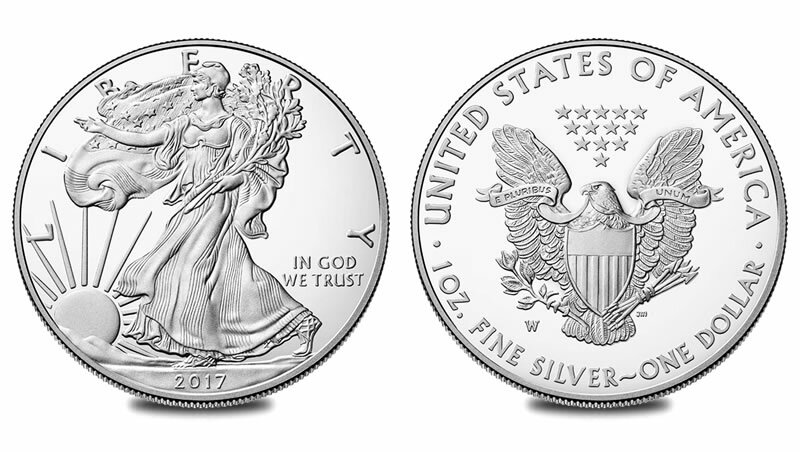 This year’s Proof American Eagle Silver led the pack once again in the latest round of United States Mint silver sales stats. In fact, its sales nearly doubled its previous jump, adding 4,382 new orders versus the 2,199 from the prior week. Total sales for the 99.9% silver coin trekked up to 257,431. The next closest competitor was the 2017 America the Beautiful Quarters Silver Proof Set. Consumers picked up 1,358 of them, which was also considerably more than last time at just 454. The new number of sets sold, since launching on Feb. 16, was 61,918. The table below shows the latest sales stats for collector coins and related silver products from the U.S. Mint. Sunday, May 21, is the as of date for the standard collectibles and Friday, May 26, is the as of date for the bullion products.